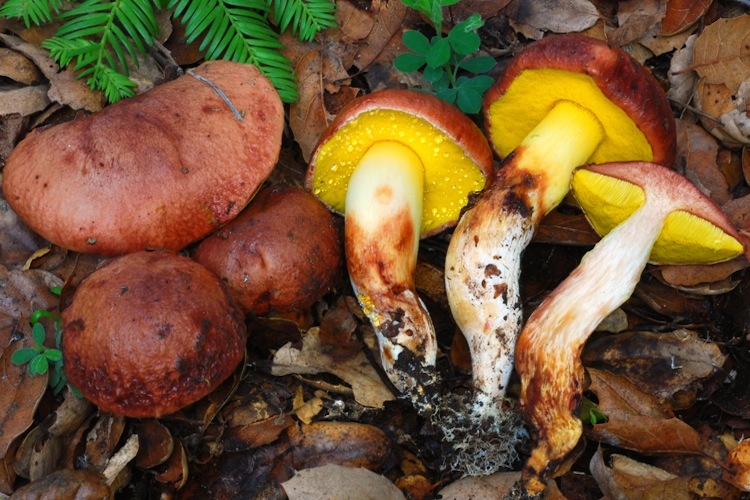 Aureoboletus have astonishingly brilliant yellow pores and a sour-tasting cap cuticle that help to distinguish these boletes from their brethren. Both are fall fruiters. 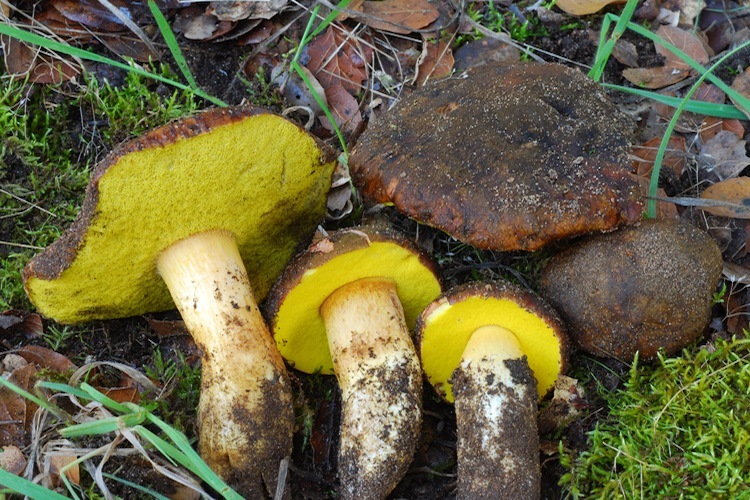 Ectomycorrhizal with live oaks. Important identification characters: generic identification is relatively easy, but telling one species from the other can be subtle, based primarily on viscidity and texture of cap surface, but extent of reticulum on stipe and overall coloration also helpful.